We consider it vitally important to be able to present our patients with accurate and fast diagnoses and the most advanced and up-to-date treatments. Newcastle City Dental is equipped with the latest diagnostic technologies so that if you do develop a dental problem, we can provide you with the most appropriate treatment. Our diagnostic technologies include digital dental x-rays and OPG x-rays and an intraoral camera. Other advanced technologies include Zoom teeth whitening, customised crowns using CADCAM technology and we have an on-site dental laboratory. 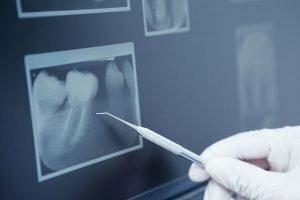 What are the Advantages of Digital Dental X-Rays? Digital dental x-rays emit minimal levels of radiation and are extremely safe. The images produced can be instantly viewed on our surgery screen, allowing our dentist to immediately diagnose and explain any problems and possible treatments. Digital dental x-rays can also be emailed to dental specialists if needed. Most healthy adults only require digital dental x-rays every two years or when it’s necessary for our dentist to examine a particular tooth or area of your mouth in greater detail. OPG (orthopantomogram) digital x-rays provide a complete panoramic view of your jaws and teeth in a single image. These x-rays are useful for assessing your temporomandibular joints or jaw joints, when planning orthodontic treatment, for assessing wisdom teeth and when screening for oral cancers. Why Choose Zoom Teeth Whitening? Philips Zoom Teeth Whitening system is regarded as being amongst the best in the world. With our in-chair whitening treatment, we use a special LED light that enables the whitening gel to penetrate your teeth more easily and more quickly. This provides better and faster results. The professional strength whitening gels used in our practice and in our home whitening kits contain sophisticated ingredients to protect and strengthen your teeth while safely and gently lifting the colour. Why Is an On-Site Dental Laboratory an Advantage? Many dental appliances and restorations can be fabricated in our on-site laboratory allowing us to closely control quality standards. Our skilled technical team liaise closely with our dentist particularly when creating cosmetic dental restorations and where design and shade are especially important. We use only the highest quality and most advanced materials and techniques for more durable and long-lasting effects.